I LOVE playdough and so does Monte. 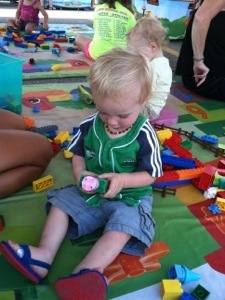 Playdough is such a great activity to keep little ones busy for hours. It is the perfect activity station to have available during the day, to play with. I always put out cookie cutters, rolling pins, cups, and any other fun factory toys we may have on hand. You can either go out and purchase playdough at the store and probably end up paying more then you want OR you can use some baking items you have at home and make your own! Add food coloring, scents, glitter, etc. 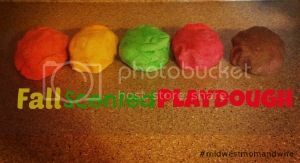 The other great thing about playdough is you can spice or sparkle it up 🙂 Last year we made Fall Scented Playdough and had so much fun with all the scents and making turkeys! There are a lot of different playdough recipes floating around online and on Pinterest, but this was in bullet proof and easy. I made the green, yellow and blue playdoughs in 25 minutes including clean up. You cannot beat that! 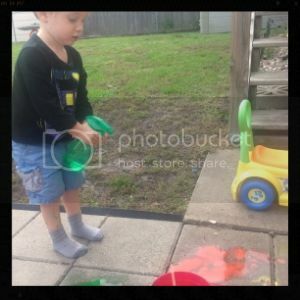 What fun things do you and your kiddos do with playdough? 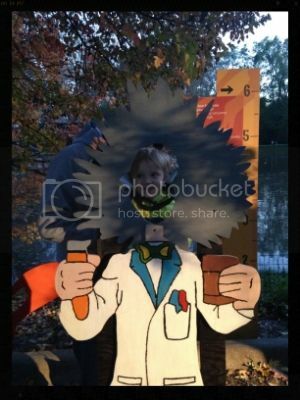 There are so many Halloween events that go on this time of year, in the Des Moines area! It’s so hard to pick and choose a few to do and see. We did some more fun activities this past week and none of them disappointed! 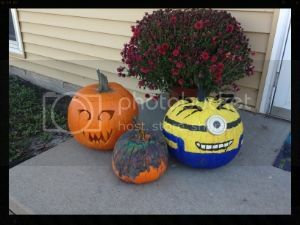 The Great Pumpkin Party was a three day event held by Valley Church in West Des Moines. We were not able to make it out until the final night, Thursday. Tuesday night was was specifically for families with special needs, which I thought was awesome! This event was so large, it was held at the Valley Church and the Valley Community Center across the street. We were there right at 6 pm when the doors opened! 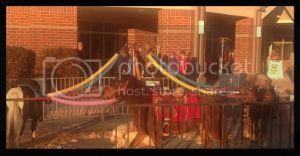 They had pony rides, right outside. Monte was soooo close to ride, but he got very nervous once he sat down on the pony. 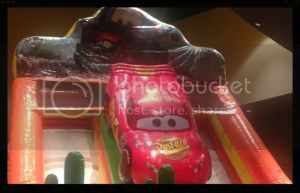 The worship area was full of inflatables and right when you walked in,there was a huge Lightning McQueen inflatable slide. You should have seen the look on Monte’s face! This event also consisted of live music, an illusionist, face painting, photo booth pictures, games, a petting zoo, ice cream, popcorn, lemonade, and MORE! All of this was FREE! 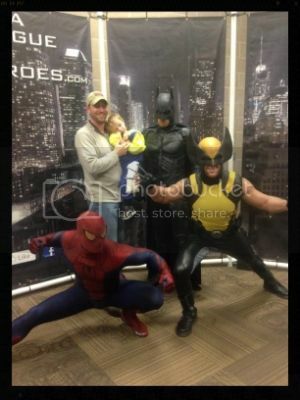 Monte’s favorite part of the evening (besides the large inflatables) was taking his picture with the super heroes! Saturday evening we made it to the Annual Grimes Halloween Fest at the Grimes Community Center. The whole building was filled with fun activities. 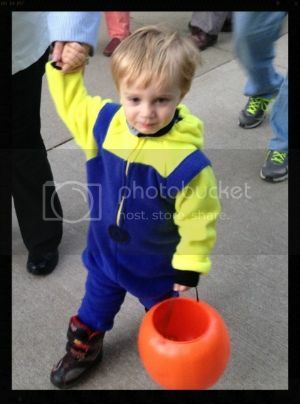 As you walked through the building there were people dressed up, handing out candy. There were two different bake sales going on! Inflatables to play on (one of Monte’s favorite), a haunted house (we did not go in), a soft-play area for the little kids to run and jump, AND free tours of an ambulance and fire truck! 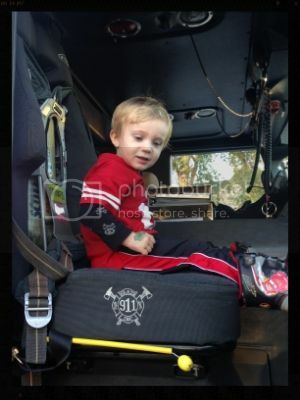 Monte though the fire truck and ambulance were way cool! 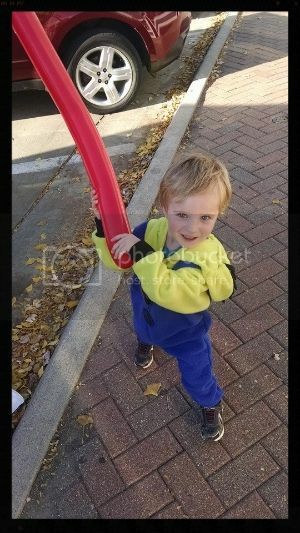 We went to the Valley Junction Pumpkin Walk. The event was 2-6 pm and we went a bit late, around 4ish. A lot of the things were just finishing up when we got there, but we still enjoyed ourselves. 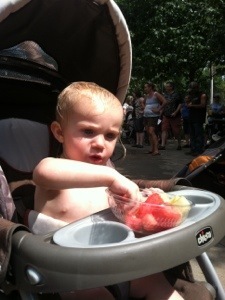 The highlight of the event was, of course, getting candy. 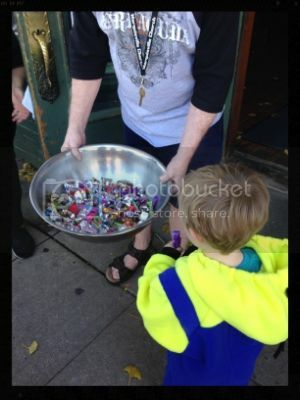 A lot of the stores participated and as you walked through the junction you could stop and get candy! One store, gave away fancy, collectible rocks! Monte thought that was pretty neat! Green Grounds Cafe hosted children’s activities and you could get a balloon animal! Monte got a GIANT sword! There was also a chance to get a FREE pumpkin. What fun Halloween activities have you been checking out?! 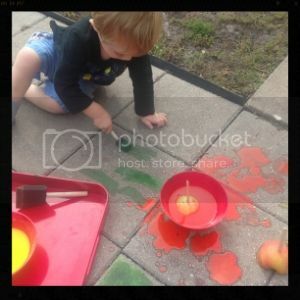 We had so much fun making a mess and painting on our patio outside. I came across this site for the recipe. When adding the water to the mixture, make sure to add it slow. I used 1/2 a cup and I think it wasn’t thick enough. I would start with 1/4 cup and then add more if you want. You want it to be thicker so it’s more like paint. I decided to just make three colors, but you could make any and however many colors you want! 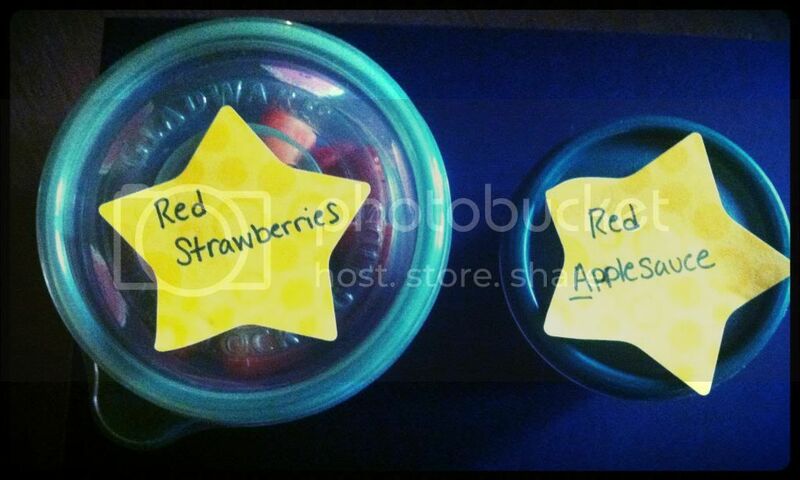 You can also add glitter to the paint, and/or scents. You can also use whatever items you want, to paint with. Get creative! I had a couple of apples that were going bad, so I cut them in half, and placed a popsicle stick in them to paint with. After you are finished painting your masterpiece! Place vinegar in a squirt bottle and begin squirting your artwork. It will begin to fizz and bubble! I think that was Monte’s favorite part! I definitely recommend this activity! I love how simple it is to put together, easy clean up (the rain will wash it away), and you can change up what you paint with and what colors you paint with! 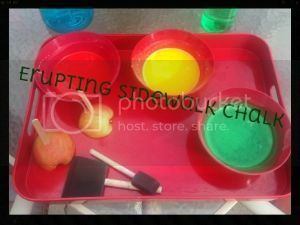 Have you tried using Erupting Sidewalk Chalk before? 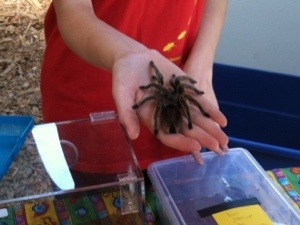 Blank Park Zoo Night Eyes 2014 & Giveaway! We made it out to the Blank Park Zoo Night Eyes again this year! Monte really enjoyed himself last year, so we made sure to check it out this year. 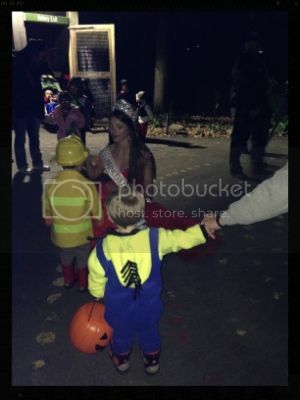 He went as a minion this year! It was hard to get a picture of him with the entire costume on (classic 2 year old), hopefully, before the end of the season, I will get one. I bought it off Etsy … I seriously have an Etsy addiction. Everything is so unique on that site! There were a lot of the same themes as last year like the Wizard of Oz, Pirates, When I Grow Up; but they did a great job of setting it up differently and adding some new things! Monte enjoyed receiving candy from all of the different characters dressed up such as Woody from Toy Story and a Princess! He was a little shy when he met the princess. He wanted to go over, but never got enough courage to go and take a picture. 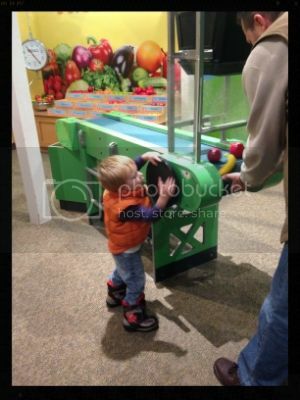 Monte also enjoyed riding the train, riding the carousel, and seeing some of the animals. While we were there the lion’s were super active and we saw the male lion get up and run! 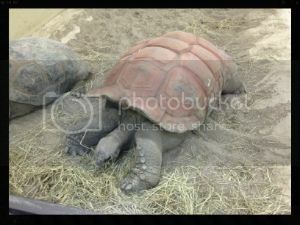 We also saw the tortisus’s up close. I would definitely recommend putting Night Eye’s on your list of Halloween things to do! 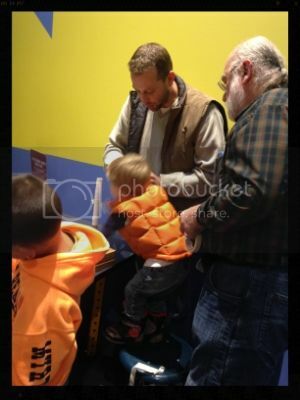 I love how the kids receive more then just candy, such as coupons, and how it can become a learning experience by viewing the animals and seeing some different, kid-friendly characters! This weekend is the last chance to check it out. If you go Thursday or Friday I would recommend being there right at 5:30 so you have a chance to check out the Fun Zone! I am giving away TWO free tickets to Night Eyes. All you have to do is go to my Facebook page and like, share and comment “done” on the pinned post at the top of the page. 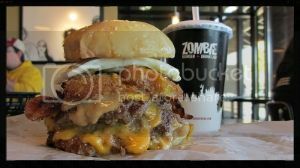 If the page gets to 120 “likes” by Wednesday, I will randomly announce a winner! Good Luck! 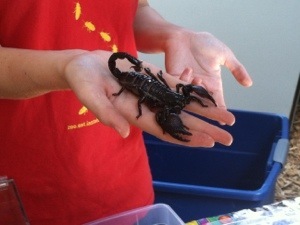 What is your favorite thing at the Blank Park Zoo Night Eyes? Where have I been for the past, ALMOST, year?!? Yes, Amelia Don was born August 1st and since her conception and arrival, my world has been turned upside down (for the good)! 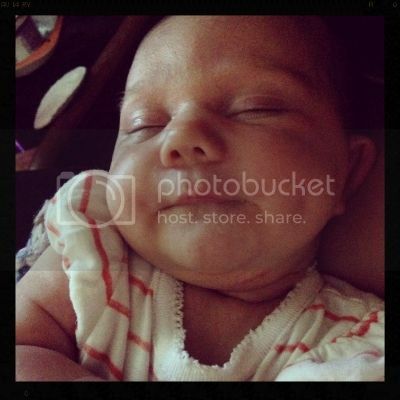 I had some serious morning sickness while pregnant with Amelia, that is why my blogging stopped. I had every intention to blog about my pregnancy and all the fun things I ate, activities I did, prepping for her arrival, etc. 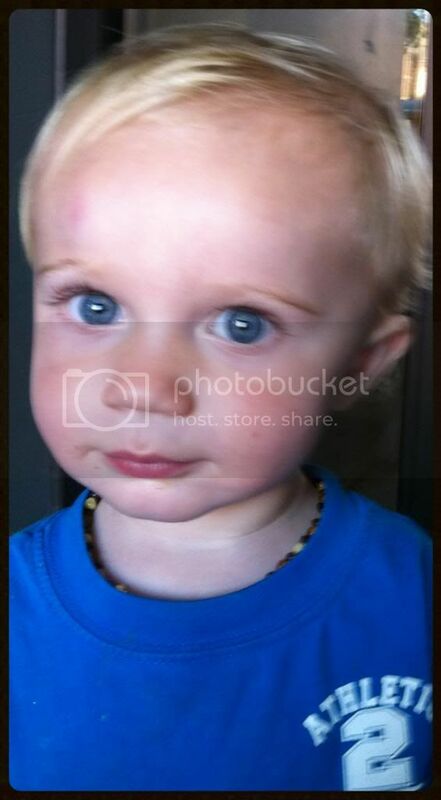 BUT growing this little girl took a lot out of me, especially with a 2 year old, BIG BROTHER running around! I am nervous about all of the above, but so excited about this new chapter in our lives. We have a wonderful support system, so I know everything will be okay! Now that I am not “working” I hope to have more time to blog. I probably will not post near as frequently as before. I will be easing my way back into it. I hope to share my journey staying at home with my two children, share information about my business, my health and fitness journey (body after baby two! ), more events and activities to do in the Des Moines area and so much more! 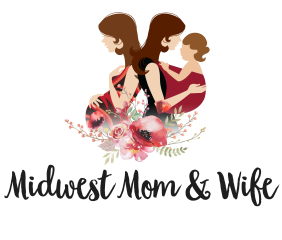 What would you like to see me blog about on Midwest Mom & Wife? I created a new, fun activity for Monte to do at my moms house! I got the idea off of Pinterest (where else?!?) and the inspiration actually came from here. I wanted to do a box full of everything that started with the letter “A”, but as I was going through the playroom, it began to be easier for me to collect items that were red. So, there is a mix of both in the box! I had a random picture box, that I had not used yet. I used this to collect and store my items. I started with these three books I found! 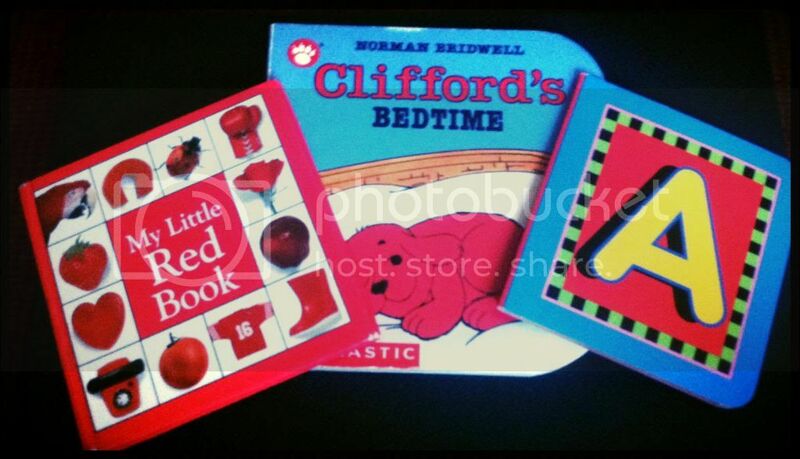 My Little Red Book, Clifford’s Bedtime, and A. 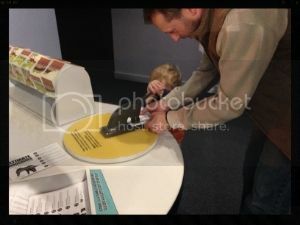 They work perfect for this activity! 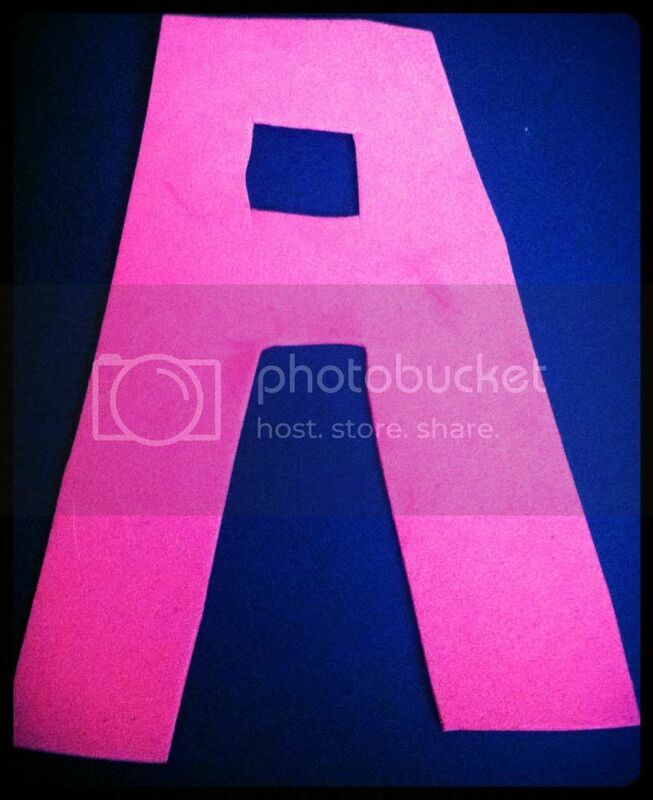 I then cut out a HUGE letter “A” in red foam, I had leftover from the Foam Shape Activity. 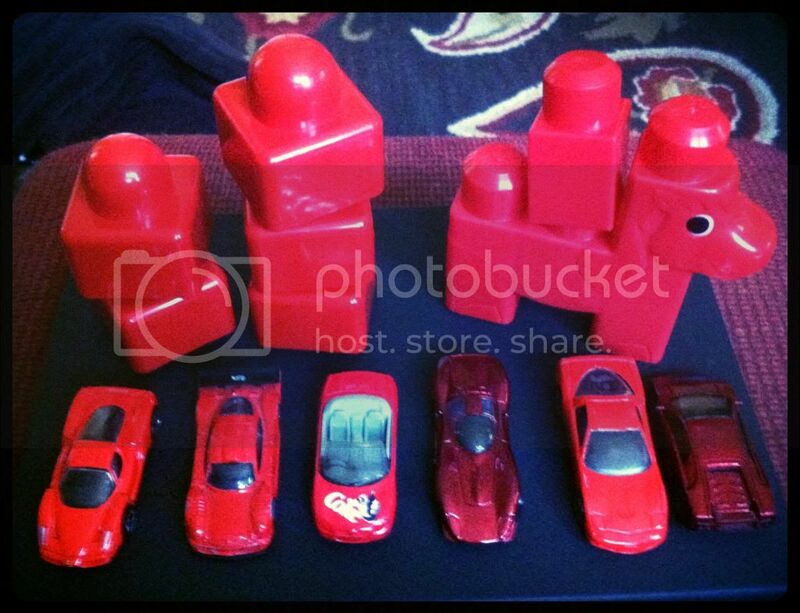 I then found a bunch of large RED legos and cars! This is a great and inexpensive activity. You can use items you already have at home! It’s a great way for your kiddos to learn their colors using items they already see and play with everyday! 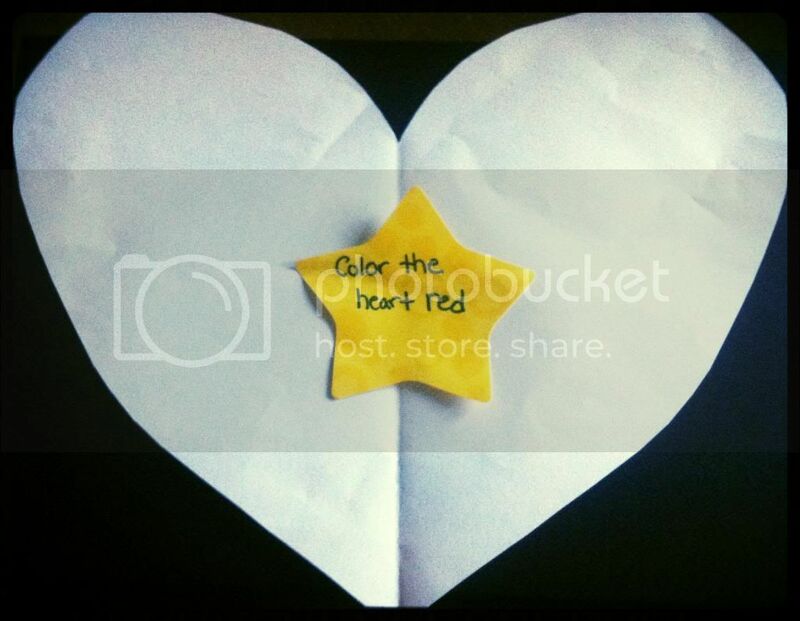 What fun activity do you do with your kiddo to learn colors? It’s been a bit since I have posted so I have lots or randomness to share! 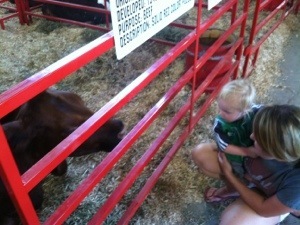 I went to the final day at the Iowa State Fair Sunday (kid-less and husband-less) and had so much fun! 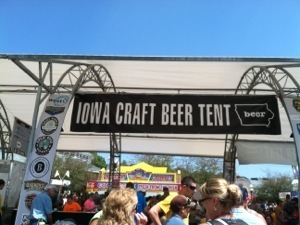 We spent most of our time at the Iowa Craft Beer tent, but we did leave to check out all of the award winning animals too. I tried the famous Shrimp Corn Dog which was amazing! I also got a cup of chocolate chip cookies, had some chili/cheese fries and an apple cookie. Needless to say I was NOT feeling well on Monday! The Alan Jackson concert was also great! 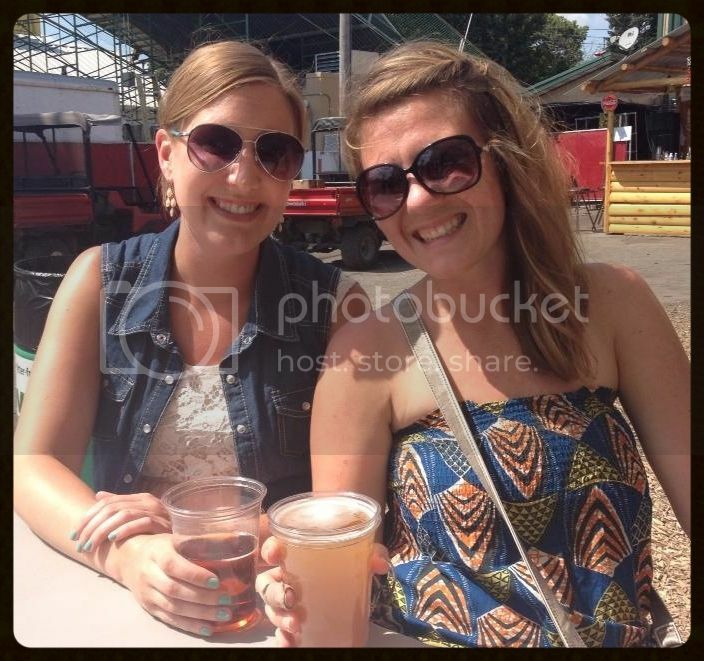 My cousin, Kristin and I saw Alan Jackson last year in Cedar Rapids. We decided to go see him again (maybe this will become a yearly tradition?!) Gary Allan opened up for him, which I had never seen in concert and he was also great. Kristin and I had a lot of fun dancing and singing along. The night ended with an awesome fireworks display at the grandstand. Perfect way to end the 2013 Iowa State Fair. I have tried Kombucha several times and have not been too impressed, but I was at Whole Foods the other day and decided to pick up another bottle. Guava Goodness is the one that won me over! 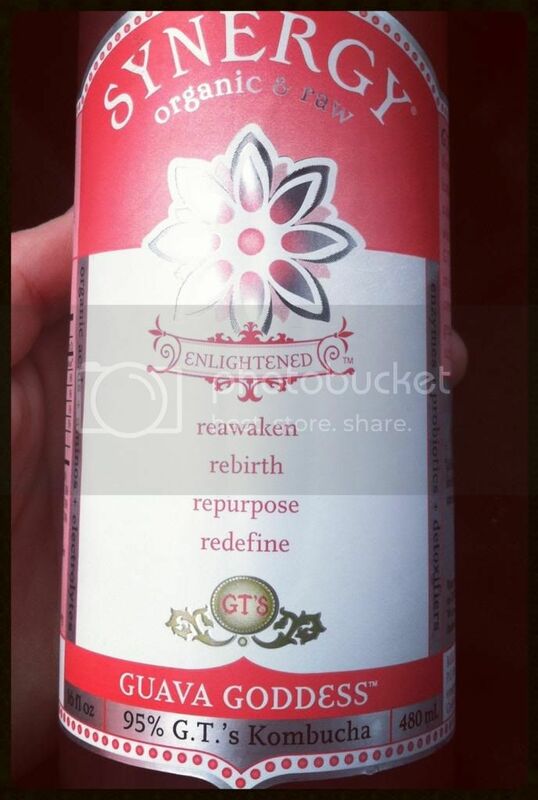 If you are not a fan of Kombucha yet, give Guava Goodness a chance because it yummy! It also gave me a boost of energy and is probably a bit healthier then another cup of coffee. I know there are health benefits of Kombucha, but not sure of them all. I also know it’s pretty easy to make. I definitely need to look into this further! Because of the cooler weather last week, I was getting super excited for fall stuff, BUT of course this week it has been between 90-100 degrees out again! URGH! Anyways, I made these Monday morning for my very special guests! They turned out great! You can find the original recipe here. I made some alterations which you can follow below! Add the oil, maple syrup, milk, pumpkin, and vanilla to the dry ingredients. Fold in the hot water and the apples until evenly distributed. Spoon batter into muffins tins. Bake 20-25 minutes, until toothpick inserted in center of muffin comes out clean. 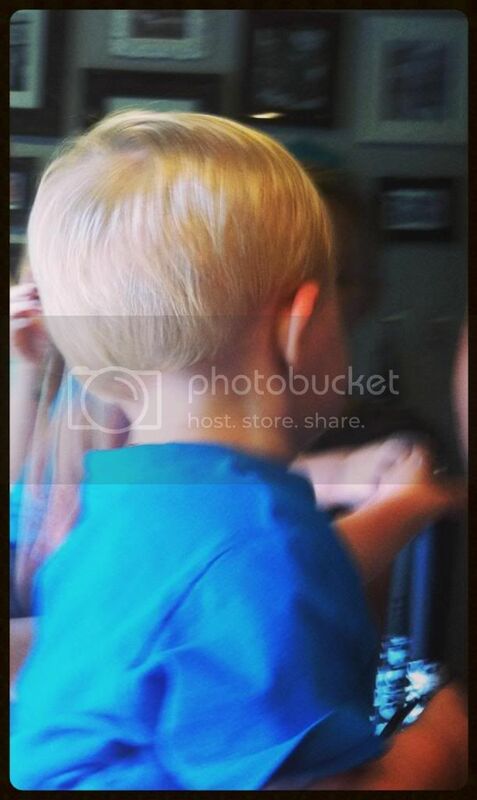 Yepp, his baby mullet is no longer! He did an okay job at first sitting in the chair with his cape, but shortly got antsy. No screaming and crying though! Overall, we were pretty happy with the experience! 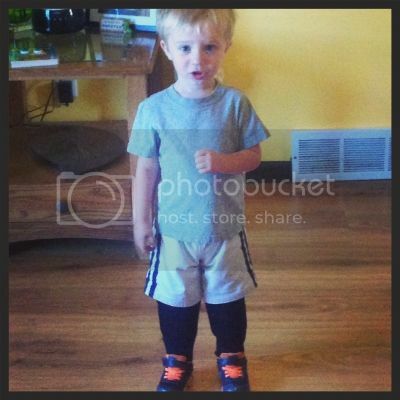 Doesn’t he look like such a big boy?!? One of my favorite places to shop is Pier 1 Imports. I love shopping for different decor items for the home. During the fall they always come out with some really cute things! It can be dangerous for me to go in there. Christmas is especially dangerous when they have all of their ornaments and all other sorts of Christmas goodness! I signed up for their e-mail alerts and this week they sent me a coupon for $5 off $25 or more OR $10 off $40 or more! If you go to their website here, on the front page they have these coupons available for you too! They also have some great sales going on, so go get a head start on your fall and Halloween shopping NOW! What do you know about Kombucha? What’s you favorite flavor? Hello everyone! I hope you had an awesome weekend! We definitely did 🙂 We made it out to the Iowa State Fair yesterday with Monte and had a blast. 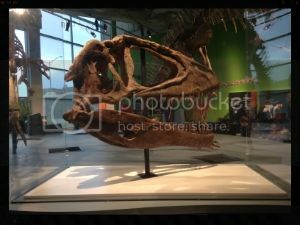 There are so many different things to do and see there with kiddos. Of course, we were not able to do and see everything. Monte could only handle being there for a few hours, but we surely jammed in a lot! First stop, was the DNR building. I actually have never visited before and did not realize how many cool and kid friendly things they had. Inside the building they had multiple booths with different activities such as puzzles and coloring. In the center was a HUGE aquarium full of lots and lots of different fish! 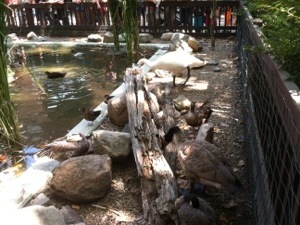 Outside was an area with lots of ducks, geese and a few turtles to look at. 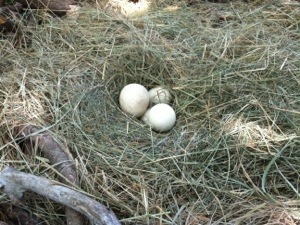 There was also a large nest with bald eagle eggs you could look at. 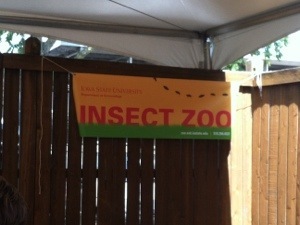 The Insect Zoo from Iowa State was pretty interesting too! 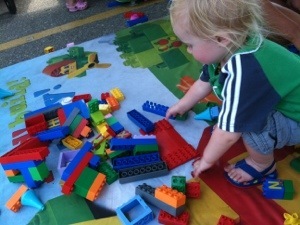 Afterwards, we headed over to a tent that was full of fun Legos to play with! Monte thought it was pretty fun. We had to make a quick adult stop at the Craft Beer Tent. 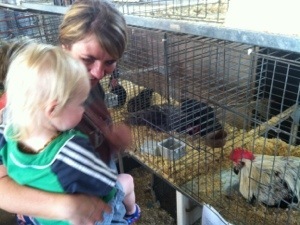 We made our way to check out all of the animals including the boar and a very large pig! 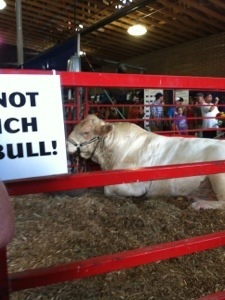 Overall, it was a very successful day at the Iowa State Fair! You should definitely check it out this week! 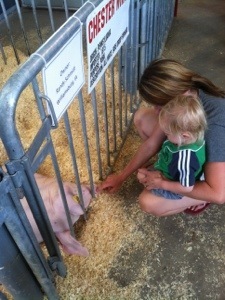 Have you taken your kiddos to the Iowa State Fair yet? What fun things did you do and see? Travis, Monte and I did not make it to the Clowns at the Carousel Sunday evening, but we did get another item crossed off our Summer 2013 Bucket List! 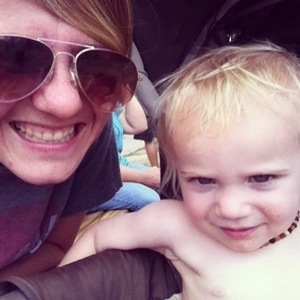 We went to the Blank Park Zoo! I had never been to the Blank Park Zoo before and Monte had never been to a zoo before. 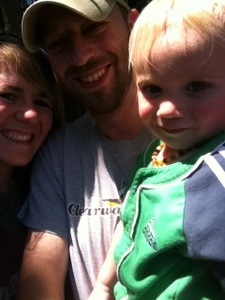 We also had some close friends in town and their little girl had never been before either. So, it was a great outing for everyone! 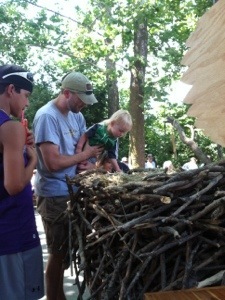 The Blank Park Zoo is not super big, which makes it easy to get through it with an 18 month old. 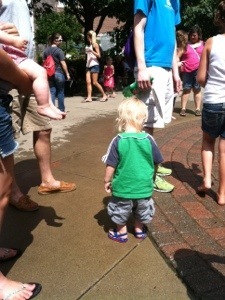 By the time we went around and saw all the animals and main attractions he was definitely ready to head home. 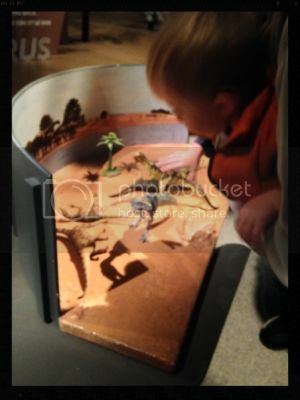 It’s hard to see Monte’s face in the picture, but he wasn’t too sure about that long necked, long tongued creature! A giraffe’s tongue can be up to 18 inches long! 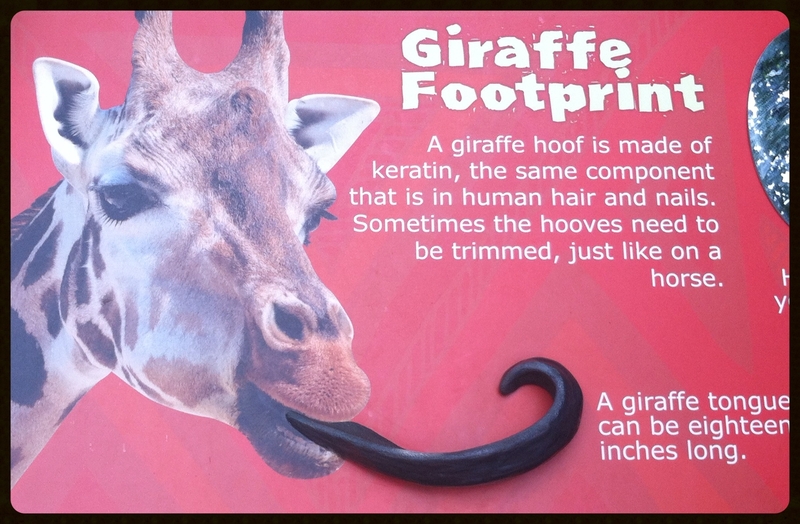 And it’s black … I would be a little freaked out feeding a giraffe too! There were plenty of strange animals for Monte to see which included and NOT limited to: Some creature with horns (cannot remember what they were called), sea lions, lions, tigers, monkeys, and penguins. The penguin exhibit was under construction while we were there. 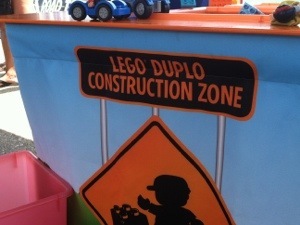 Hopefully, they will have it finished soon! 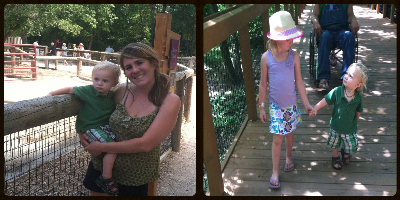 I would definitely recommend the Blank Park Zoo for anyone who has little kiddos and want to do something fun. 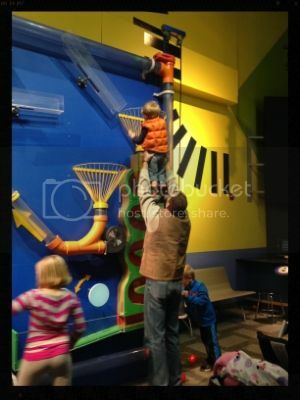 They offer great season passes and great combination passes that you can combine with the Des Moines Science Center and Living History Farms. Check out there website for more information and their hours here! 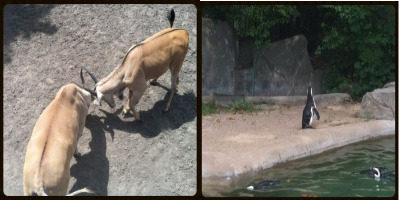 Have you ever been to the Blank Park Zoo? What is your favorite thing to see there?